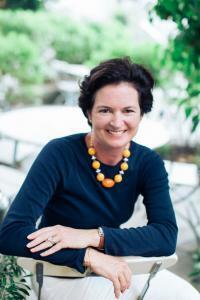 Elizabeth Doyle Carey has been working in book publishing for over twenty years. First as a bookseller at the Harvard Bookstore, then as a book agent’s assistant at the Doe Coover Agency, then as editor, editorial director, and senior editor for three children's book publishers: Addison-Wesley (part of Pearson, LLC), Golden Books (now part of Random House), and Workman Publishing. Liz has had more than thirty books for middle grade readers published, including the JUNIOR LIFEGUARDS series, the CALLAHAN COUSINS series, and many of the titles in the CUPCAKE DIARIES and forthcoming SPRINKLE SUNDAYS series (writing as Coco Simon) and in the DEAR KNOW-IT-ALL series (writing as Rachel Wise). Her publishers are Simon & Schuster, Little, Brown, Planet Dexter (Pearson LLC), and Dunemere Books. Liz lives in New York City with her husband and three sons, a pug, and a tabby cat. When she is not reading or writing she is mostly attending hockey and lacrosse games, visiting museums, seeing shows on Broadway, eating cupcakes, or talking to her sisters on the phone. Visit Liz's website here! Carrie Doyle Karasyov lives with her husband and two sons in New York City and East Hampton, NY. 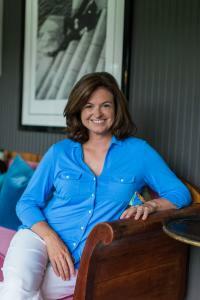 A fan of mystery and crime novels, a cooking enthusiast, a former employee of The Barefoot Contessa store during her college days, and a generally nosy person, Carrie combined all of her interests to create Antonia Bingham, the foodie innkeeper and reluctant detective character who stars in the Hamptons Murder Mystery series. Carrie is the bestselling author of six novels (written as Carrie Karasyov, five co-written with Jill Kargman), as well as a Contributing Editor to Hamptons magazine. She is currently developing an animated series she has co-written with her sons. Visit Carrie's website here! Tracey West is the author of about 200 books for children and young adults, including Junior Lifeguards, the Pokemon chapter books, the popular Pixie Tricks series, and the Brand new Dragon Masters series. Visit her website to find out more and see all her titles! Katherine Noll is the author of more than 50 books for children, including the Junior Lifeguards series. Her newest book,"Mirror, Mirror," is the first book in her first series for adults: "The Fat Fairy Tales." Helen A. Harrison, a former New York Times art critic and National Public Radio art commentator, is the director of the Pollock-Krasner House and Study Center in East Hampton, New York and an authority on 20th century American art. Her previous books include Hamptons Bohemia (with Constance Ayers Denne), and monographs on Larry Rivers and Jackson Pollock. She lives with her husband, the painter Roy Nicholson, in Sag Harbor, New York. Visit Helen's website here to learn more about her.